In a recent article here on the Laing+Simmons blog, we explored a few ways for Sydney homeowners to keep their properties at a reasonable temperature during the height of summer and beyond. However, we've now officially arrived in winter, which means temperatures in the low teens and a sudden spike in your electrical bill due to increased heating requirements. In fact, data from Mozo reveals that the average household electricity bill jumps by roughly 20 per cent in winter. 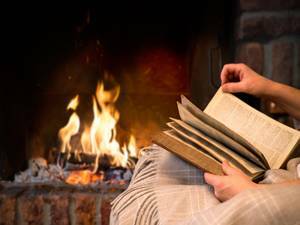 This doesn't have to be the case though, and in this article, we'll be exploring a few affordable ways that you can keep your Sydney home warm and cosy during winter. If you've got a large space to heat, it's worth investing in a powerful, fixed heater. There's more to warming up a room than simply flicking on a heater. You'll also need to consider the type of heater you're using, and whether or not it suits a specific space. For example, if you're trying to keep a small bedroom at a reasonable temperature, a portable option can work well. However, the same heater will probably struggle in a larger room, ultimately driving up your electricity bill without having much of an impact. Accordingly, if you've got a large space to heat, it's worth investing in a powerful, fixed heater that can easily handle the job. It may cost more up front, but you won't need to leave it on for as long, and the up-front cost will pay for itself over the long run. A fireplace adds elegance to a room while also offering a great source of warmth. It's also important to think carefully about what type of energy your heaters are using. Some homeowners are tempted to switch to gas heaters (either portable or fixed) in order to cut back on their power use, but another alternative to electricity is a fireplace, which can be a great option as long as it complies with the relevant Clean Air Regulations. Not only are fireplaces incredibly efficient when it comes to heating your home, they can add value when you decide to sell your property by creating a point of difference from what else is on the market. 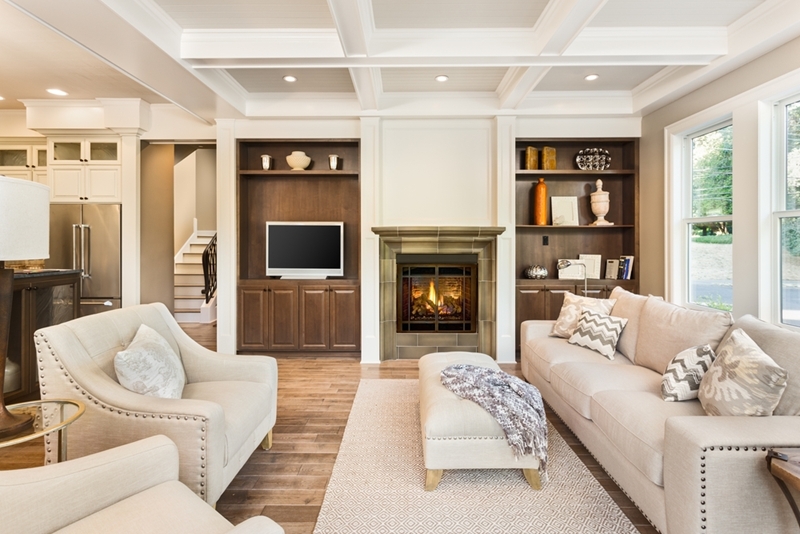 To get the best of both worlds, there are plenty of fashionable electric fireplaces available, which offer all of these benefits without the hassle of a traditional fireplace. A high-quality blanket will keep you warm in bed without adding to your bills. Finally, there are a few bonus ways that you can keep your home warm without spending an extra cent on your electricity bill. The first is to change your bed sheets. With the lowest temperatures typically coming at night, before bed is one of the most common times where we flick on the heater for an hour or two, but this can be avoided simply by swapping out thin, summer linen for something a bit warmer. A high-quality blanket also helps here, keeping you warm in bed without adding to your bills. In addition to swapping your bed sheets, it's also important to make use of curtains and blinds in winter. Not only will these keep the cold air out of your home by providing an extra layer of insulation around the windows, they'll also trap warm air inside, making your heaters more efficient and reducing the amount of time you'll need to have them on. And there we have it. A few top tips for keeping your home nice and snug this winter! For more information on all things Sydney property, contact the Laing+Simmons team today.